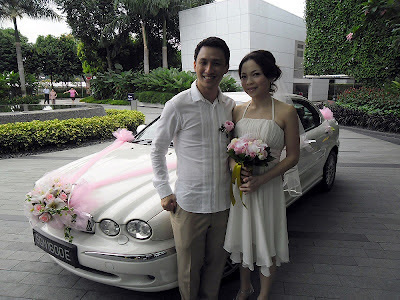 Rent Bridal Car: Congratulation to Jeff and Desiree! 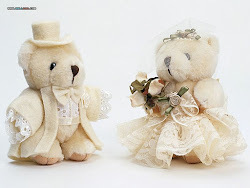 Newly Wedded on 4 March 2012! We were very fortunate to have engaged Edmund's services. We were very impressed that he took initiative to contact us near our wedding day to coordinate with the car's decor and schedule, not forgetting the fact that he remembered the date after 3 months of our booking. Then there was his car, which looks fantastic! My only regret was that I was in the car most of the time so I did not get to see the car as much as I would have liked! Other than being professional, he was a very personable guy and his calm demeanor was certainly welcomed on the wedding day. If you are considering using Edmund's services, we highly recommend it. Great service, great car at very reasonable charges.